"Texans in favor of all 7 constitutional amendments" was first published by The Texas Tribune, a nonprofit, nonpartisan media organization that informs Texans — and engages with them — about public policy, politics, government and statewide issues. All seven constitutional amendments on the statewide ballot were approved by Texas voters, according to results released Tuesday evening by the Texas Secretary of State’s office. With roughly 99 percent of precincts reporting, less than 6 percent of the state's 15 million eligible voters had cast ballots for Tuesday's election — a decrease from 2015's constitutional amendment election, when voter turnout was at approximately 11 percent. Almost 70 percent of voters approved of Proposition 2, which would ease restrictions on borrowing against home equity and allow Texans easier access to their equity. The proposition would also lower the maximum fees that can be charged in connection with home equity loans and would exempt certain charges from the calculation of that maximum. Proposition 1 would authorize property tax exemptions for certain partially disabled veterans or their surviving spouses — those whose homes were donated to them by charity for less than market value. As of late Tuesday evening, it was passing with more than 85 percent of the vote. Proposition 6, which would give property tax exemptions to surviving spouses of first responders killed in the line of duty and was one of Lt. Gov. Dan Patrick's legislative priorities for the 2017 regular session, was winning with 84 percent of the vote. Turnout in constitutional amendment elections historically has been low. In 2013, only 1.1 million voted. In 2011, only 690,052 Texans showed up — of the 12.8 million who were registered to vote at the time — to vote on 10 amendments. Any changes to the Texas Constitution must be approved by a majority of Texas voters. Getting a proposed amendment on the ballot requires support from more than two-thirds of both chambers of the Legislature. Several contentious local issues were also on ballots across the state. With 72 percent of the vote recorded, Austin voters were on their way to approving a $1.1 billion Austin Independent School District bond to improve deteriorating campus infrastructure, address overcrowding and build more than a dozen schools. In Dallas County, 56 percent of voters were against a measure that would have kept Dallas County Schools, a troubled school transportation provider, alive. And a majority of Buda voters — 67 percent — rejected a city proposal to reintroduce fluoride into their tap water. We talked to five Texas voters about their first time at the ballot box. 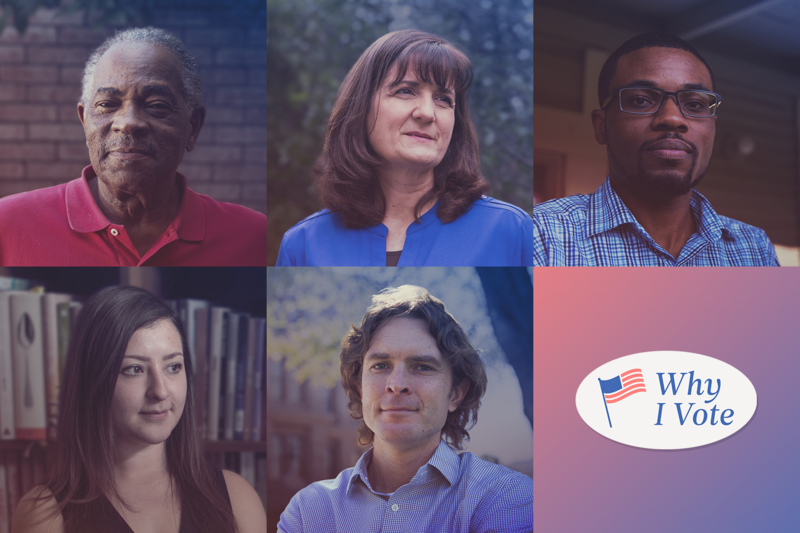 Listen to their stories, then tell us about your voting experience. It's Election Day. What's on the Texas ballot? Texans in favor of all 7 constitutional amendments By Alex Samuels November 7, 2017 All seven constitutional amendments on the statewide ballot were approved by Texas voters, according to results released Tuesday evening by the Texas Secretary of State’s office. With roughly 99 percent of precincts reporting, less than 6 percent of the state's 15 million eligible voters had cast ballots for Tuesday's election — a decrease from 2015's constitutional amendment election, when voter turnout was at approximately 11 percent. Almost 70 percent of voters approved of Proposition 2, which would ease restrictions on borrowing against home equity and allow Texans easier access to their equity. The proposition would also lower the maximum fees that can be charged in connection with home equity loans and would exempt certain charges from the calculation of that maximum. Proposition 1 would authorize property tax exemptions for certain partially disabled veterans or their surviving spouses — those whose homes were donated to them by charity for less than market value. As of late Tuesday evening, it was passing with more than 85 percent of the vote. Proposition 6, which would give property tax exemptions to surviving spouses of first responders killed in the line of duty and was one of Lt. Gov. Dan Patrick's legislative priorities for the 2017 regular session, was winning with 84 percent of the vote. Turnout in constitutional amendment elections historically has been low. In 2013, only 1.1 million voted. In 2011, only 690,052 Texans showed up — of the 12.8 million who were registered to vote at the time — to vote on 10 amendments. Any changes to the Texas Constitution must be approved by a majority of Texas voters. Getting a proposed amendment on the ballot requires support from more than two-thirds of both chambers of the Legislature. Several contentious local issues were also on ballots across the state. With 72 percent of the vote recorded, Austin voters were on their way to approving a $1.1 billion Austin Independent School District bond to improve deteriorating campus infrastructure, address overcrowding and build more than a dozen schools. In Dallas County, 56 percent of voters were against a measure that would have kept Dallas County Schools, a troubled school transportation provider, alive. And a majority of Buda voters — 67 percent — rejected a city proposal to reintroduce fluoride into their tap water. Katie Riordan contributed to this report. Why do you vote? We talked to five Texas voters about their first time at the ballot box. Listen to their stories, then tell us about your voting experience. Read related Tribune coverage It's Election Day. What's on the Texas ballot? Analysis: When Texans aren’t engaged, Texans don’t vote Texas to change voting in nursing homes — for one election, by accident "Texans in favor of all 7 constitutional amendments" was first published at by The Texas Tribune, a nonprofit, nonpartisan media organization that informs Texans — and engages with them — about public policy, politics, government and statewide issues. Link back to the original article, which is located at https://www.texastribune.org/2017/11/07/early-voting-shows-texans-favor-all-7-constitutional-amendments/.